The Miami Marlins won county permission on Tuesday to move the home run sculpture in center field out of Marlins Park and into the plaza outside, exactly what their new head man has always wanted. Derek Jeter, who was a major part of the team that bought the ​Marlins, wanted the sculpture and former owner Jeffrey Loria's legacy completely erased, so this was a huge win for him Tuesday. The move was met with resistance, as the sculptor who created it said that he designed it specifically for center field. 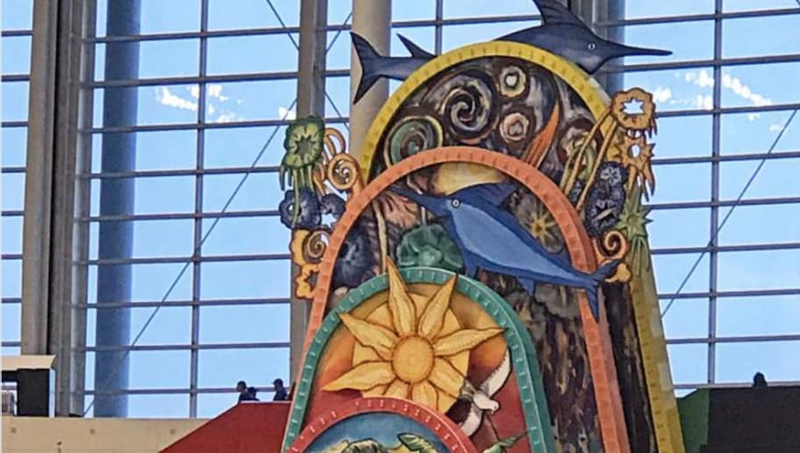 In case you've never seen this thing, when a home run is hit, the sculpture sends mechanical ​Marlins spinning during a cycle timed to end once the base runner has made it to home plate. Homer, the sculpture's name, will still turn on for home runs, as well as every home win and at 3:05 p.m., which is Miami's original area code. The plan for the area is to create a multi-story spectator area for a new standing-room-only portion of the stadium, where tickets will sell for as little as $10. I think I speak for all baseball fans when i say FINALLY!